Since 2013, Lazarus has partnered with Atlanta’s City of Refuge to assist with their Financial Foundations program, an 8 week personal finance course for the homeless women residing on campus. The class empowers these women with the steps and tools needed to become financially independent, from setting goals and making a budget all the way to investing and teaching their kids about money. Once Lazarus got involved with Financial Foundations, the entire dynamic of the class changed; providing childcare created a fresh learning environment for our students as the distractions diminished and the women could speak more candidly about their finances. Participation noticeably changed and we were getting more and better questions each lesson. Even after long days, most of our students now look forward to coming to class, and so much of that credit goes to the Lazarus volunteers and the amazing job they do every week. 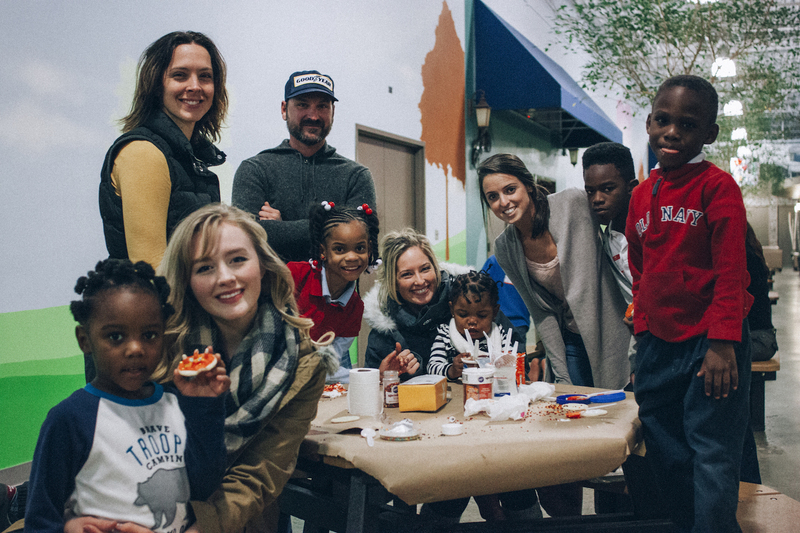 During class, Lazarus volunteers build relationships with the kids living in the shelter — organizing games, making arts & crafts, helping with homework, and other activities — offering a consistent, positive influence in what is often a very tumultuous time in the lives of these children. In May 2015, Lazarus volunteers also began teaching “Banking On Our Future”, a class that tailors the Financial Foundations curriculum for children 8 and older to provide a basis for financial awareness and inspire conversation and learning alongside their mothers as they progress through the course. If you’d like to join us one Tuesday night, let us know.